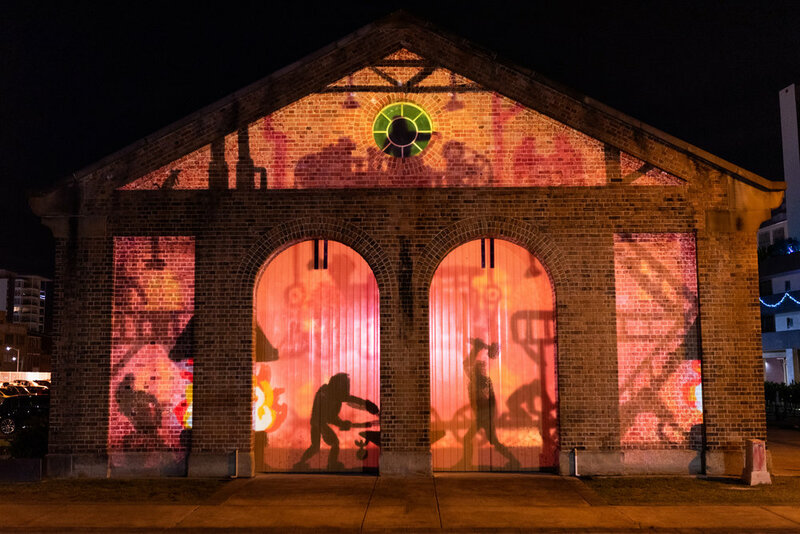 The Honeysuckle Lights–Railway Workshop Projection utilised digital projection technology to explore novel forms of public engagement. 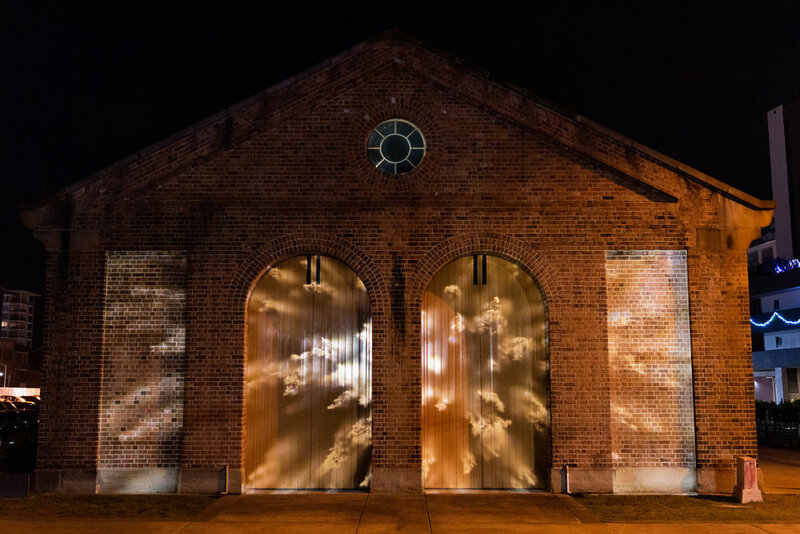 Using a range of illumination and projection techniques, this activation strategy promoted Honeysuckle to a larger demographic after-hours; increasing both safety and the night-time economy for various user groups of the area. 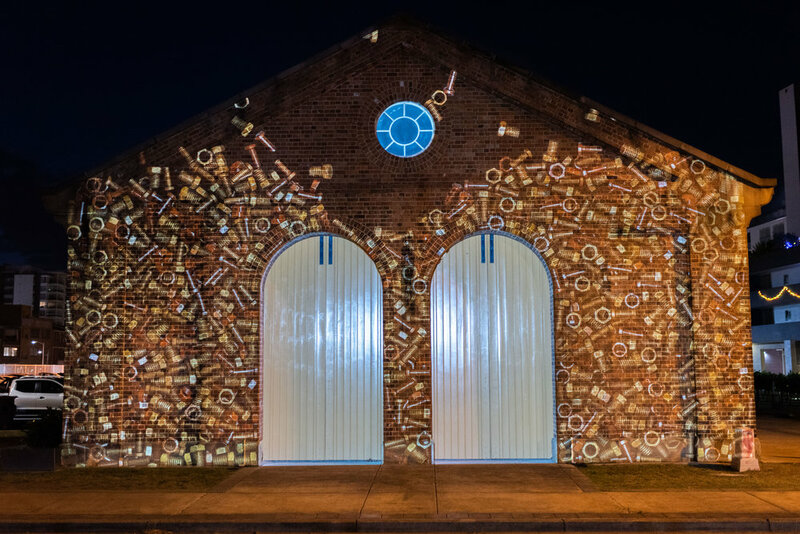 Aligning with the City of Newcastle’s agenda for Creative Cities, this new type of public art reimagines the existing city, forming new connections between the built environment and the arts. Affiliated with the School of Architecture and Built Environment (SABE) and the School of Creative Industries (SOCI), the project contributed and enhanced the knowledge and skill of those who are the current and future content creators (built and creative) within the City of Newcastle. This project aimed to develop further areas of research in the activation and improvement of public amenity; to renew use and appeal of an existing site and establish a connection between the public and place. 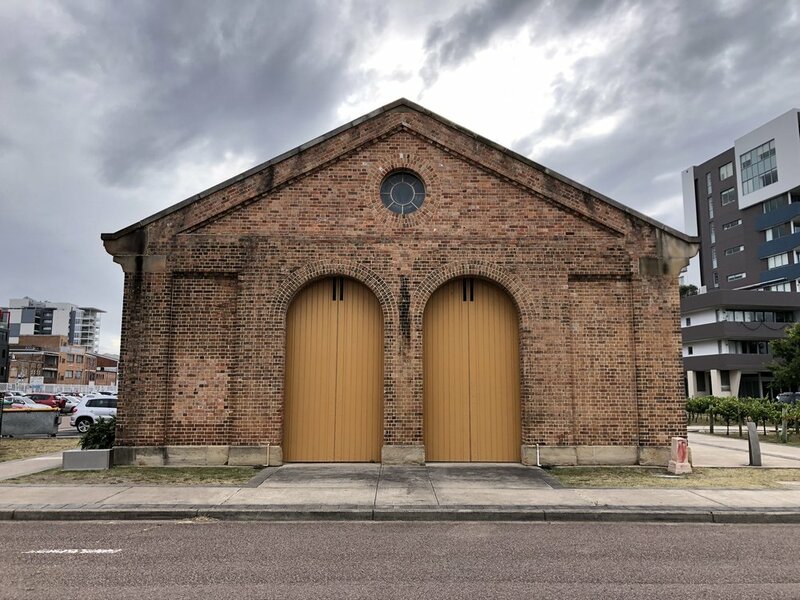 The Honeysuckle Point Railway Workshops, in particular the Australian Wine Selectors building (1 Wright Place), is a significant and historical landmark within the built fabric of Newcastle. Recognised by the Institution of Engineers Australia, 'The buildings remaining are rare examples of the design principles used for late 19th century industrial buildings...' and the machinery within '...represents the culmination of 19th century materials handling technology' (Historic Engineering Marker, The Institution of Engineers, Australia and Honeysuckle Development Corporation 1996). As a collection of buildings, their adaptation and reuse has been successful. However, there remained a missing component of creative interpretation which engaged with the built fabric and echoes stories of the past. By reflecting on the past use of these buildings and practices, the project engaged new technology and techniques to renew interest in this past identity of Newcastle. 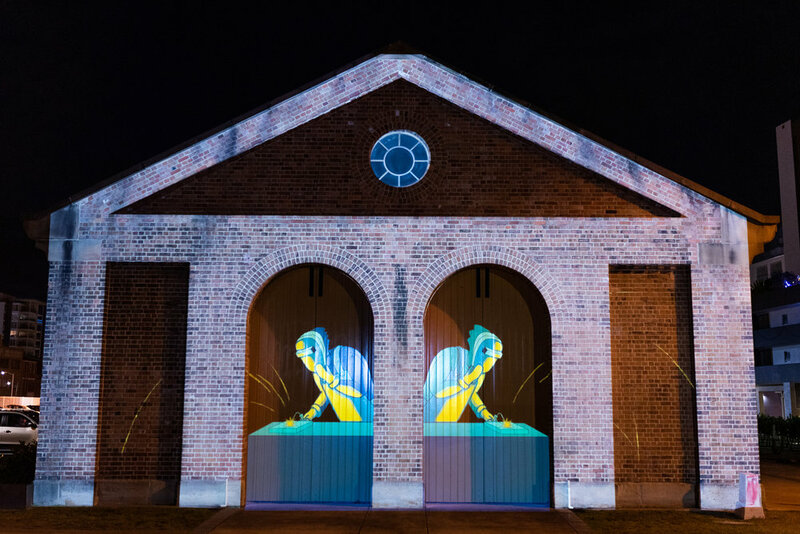 Large scale projections are technical and expensive largely due to the nature of the equipment needed to create them, including the difficulty of finding suitable projection locations that satisfy safety, security and optical requirements. These technical considerations became key driving forces behind the creative process that followed. As such, the consideration of equipment, placement and cost in this project are co- dependent. For example: changing the projector placement creates a flow-on effect that can dramatically impact cost; every element needs to be taken into account to plan the entire project. The projectors and associated equipment required for long term, outdoor installations are specialised, fragile, expensive, and also extremely heavy. The projector (Hitachi CP-WU13K) used for this installation is a ‘large venue projector’ on loan from SOCI and weighs 40kg, including the lens. It is housed in a large waterproof sheet metal case (custom made for City Evolutions in 2013) with a 6 fan assembly for heat extraction. Additionally, a series of digital timers were used to schedule the optimal display of content during the evening hours of project delivery (between 8pm and midnight). The whole assembly weighs 50-60kg and required a scissor lift to be moved into position. Large-venue projectors require individual lenses for different applications. Only the most general-purpose lenses have a zoom function, making it possible to adjust the size of the projected image by adjusting the lens. In order to project (or throw) a large-sized image from a short distance, a ‘short throw’ lens was therefore purchased to achieve the desired result. These specialised lenses are fixed (no zoom), so making the image smaller or larger necessitates the physical relocation of the projector to an appropriate vantage point in order to achieve the required size projection. Internal controls in the projector allow flexibility to adjust the image to a certain degree (left/right and up/down as well as account for a limited amount of tilt) but otherwise the optical specifications of the lens itself dictate from where it is possible to project. Projection equipment requires access to power and a secure location to mount and stabilise the installation. For long term placement, the installation requires a suitable location out of reach of vandalism or theft. Professional installs would typically build a scaffold tower if there was no suitable spot for placement. This would have additional considerations (mainly security and safety) for long term installations. 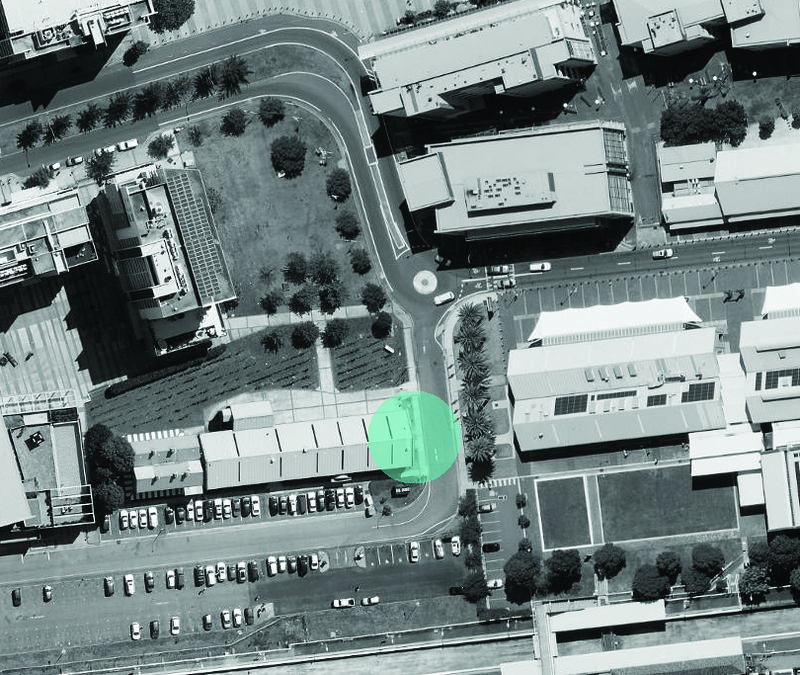 After a thorough scoping study, the researchers were able to secure permission and access to the Newcastle Museum's utility block, a vantage point with existing access to mains- power on the roof deck. This location fell within the limits of achieving full projection coverage of the selected building façade. Additionally, the height of the roof deck provided an excellent position so as not to disturb passing traffic or pedestrians, given the light from the projector is extremely bright. The projection point faces due west during the day, and as such, any sunlight entering the lens could potentially damage the optics of the lens and the projector. To overcome the risk of damaging the equipment, a motorised light baffle was constructed to cover the lens during the day, and then automatically shift when the projector is operational at night. 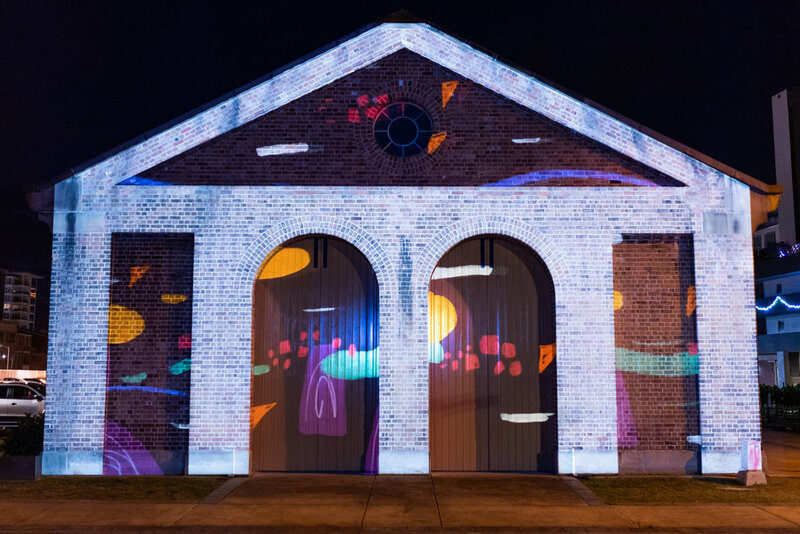 To consider hiring a projector for a month (similar to those used at Sydney's Vivid) is approximately $25k––assuming no labour to install or scaffolding is required. As part of reporting for this grant and preparing for the next, the researchers organised an informal site visit by a firm specialising in large creative installations of this nature. 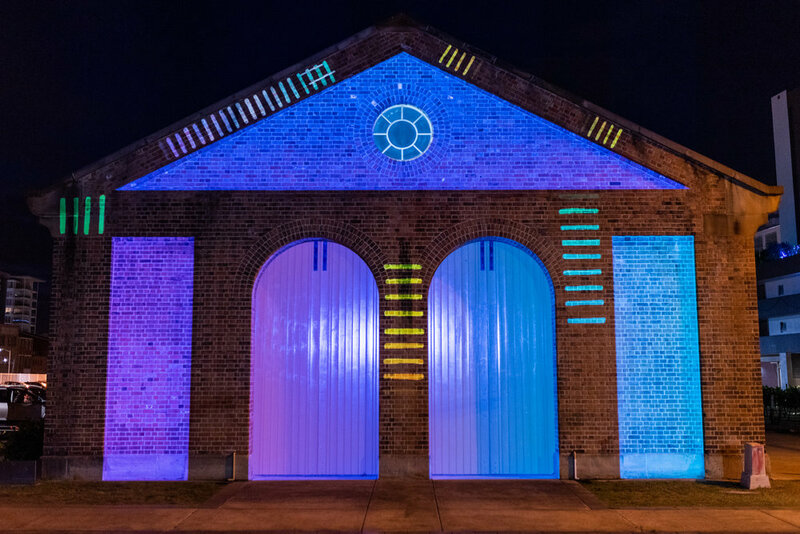 The selected firm worked on Vivid and has been involved in large art projections at the Carriageworks in Darlington. A professional assessment of this nature is strongly advised for future projects in the Honeysuckle area and City of Newcastle in general. The production of the creative work is relatively straightforward once it is known what is possible at any given site. For a site-specific project such as this, an elevation of the building was created using a combination of on-site measurements, historical documentation and photogrammetry techniques. This information was then distributed to the staff and student designers' who then incorporated the features of the façade into their animations. For the production of creative content, it is vital to include a thorough testing phase for artwork. Complications that were encountered arose from the accuracy of the elevation documentation, including the lack of on-site knowledge about how the colours and graphic treatments might look once project on the brick surface of the facade. However, these setbacks were only minor and easily resolved: a surveyor was engaged to confirm the correct height of the building, which allowed the students to readjust their templates. Once adjusted, on-site testing of colour palettes allowed students to revise design to make sure it was legible in the way that they intended. Reid McManus, Sam Blomley, Nicole Lekach, Andrew White, Sharon Salmi and Renee McIntosh.